The best advice I’ve picked up along the way. 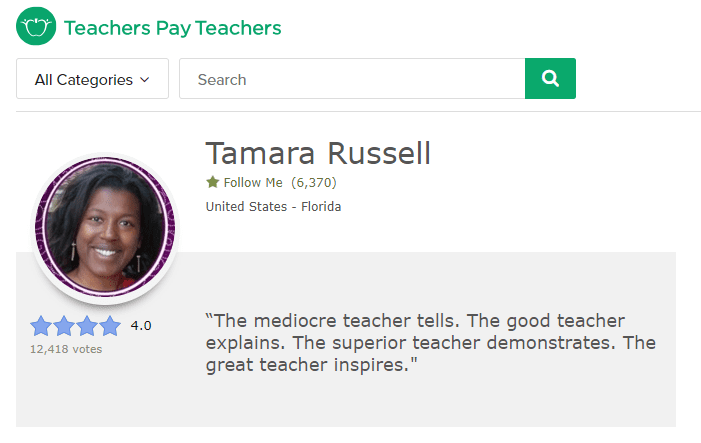 By now most teachers have heard of Teachers Pay Teachers, the “world’s most popular online marketplace for original educational resources.” Some of us may have even spent way too much money there! Have you ever wondered what it might be like to open a store and sell your own resources? If it’s something you’ve considered or if you’re just curious about what it’s like, read on! I’ve been in your shoes, wondering if I should open a store and whether or not anyone would want to purchase my resources. I’ve worked hard on my own TPT store to build a following. And here are the best Teachers Pay Teachers tips I’ve learned along the way. Signing up for a store is super simple. 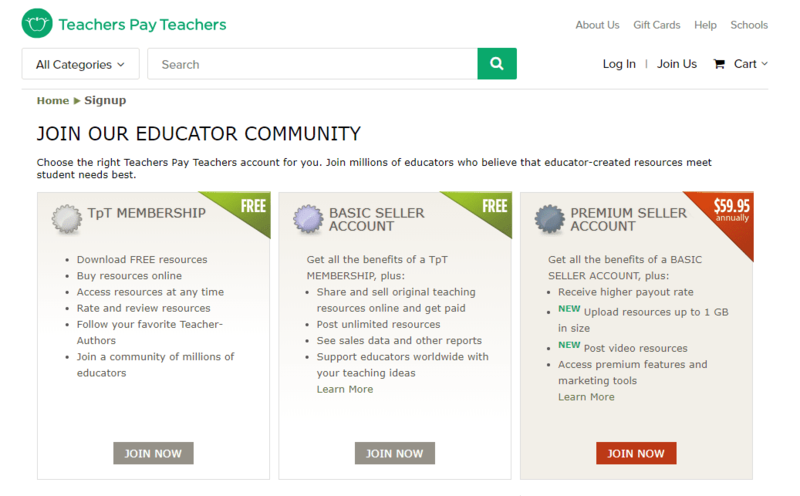 You can become a teacher-seller for free. You fill out some information, choose a store name (or just use your own name), and start uploading your resources immediately. If you decide to upgrade to the premium seller account, it will cost you $59.95 annually, but you’ll receive more from each sale along with some other perks. That being said, take some time to look at the lessons and activities you might offer in your store and then check out the competition already in place on TpT. Do you have great ideas, but there are already dozens of resources just like the ones you would be offering? If so, you might want to explore other areas of focus or develop a different niche. Think your resources are fabulous and are willing to jump into a competitive market? Great! 2. Consider any offline implications. 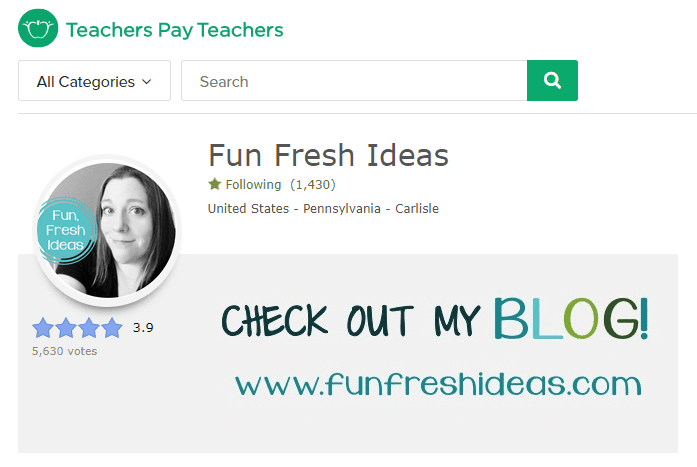 It might be hard to imagine becoming “famous” from selling teacher lesson plans online, but that is exactly what has happened to many teachers because of TpT and their success on the site and on their blogs. While your first thought might be “uh, sign me up,” make sure that you give some consideration to how online notoriety might play out in your offline life. 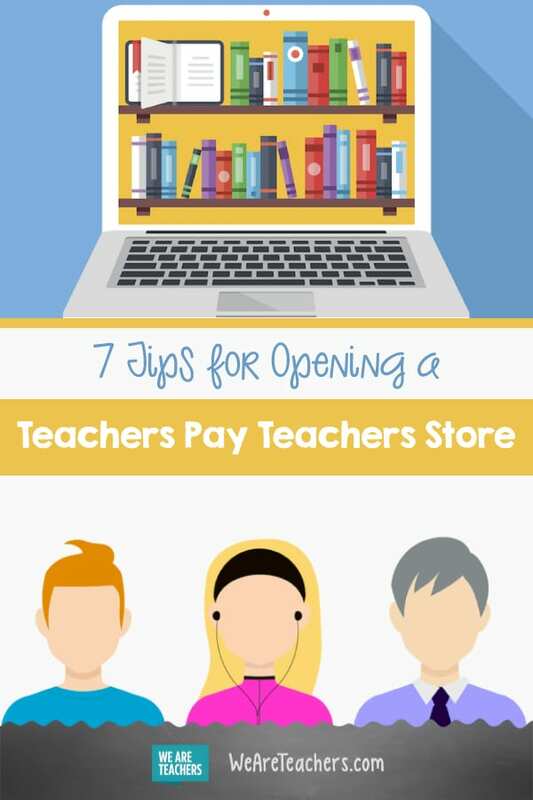 While it may be possible for you to remain “anonymous” for a while, if your store does well you may find teachers in your building who discover your resources on TpT. Are you going to be comfortable with them knowing you sell lesson plans online? Will your administrator and district be supportive? Check your contract—some have pretty specific wording about who owns the resources created for use in their district classrooms. (Hint: It’s probably not you!). This isn’t meant to scare anyone, but it is something to consider. While you may not ever become insta-famous like Brittany Sinitch, the Five Foot One Teacher, who has over 100k Instagram and YouTube followers, you should think about what it might mean for you personally if your principal and teacher friends knew you were selling your resources online. 3. 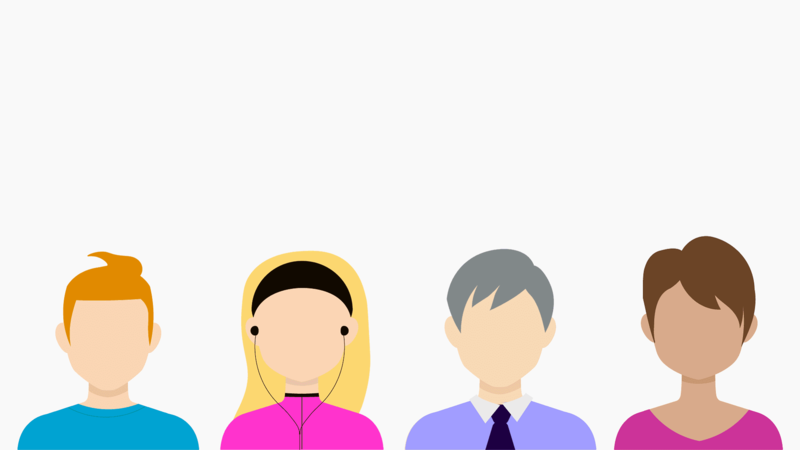 Develop your customer avatar. Don’t panic if your first response is something like, “Huh? My customer what?” Your avatar has nothing to do with that movie with the big blue people. It’s a business concept about making sure you have a lock on exactly who your products are for. Who is going to be buying the lessons and activities you’re going to sell? If your only answer is, “a teacher,” then take some time to dig deeper. My customer avatar is Tara. She’s 28. She’s been teaching high school English and reading for about four or five years. She loves teaching but is definitely overwhelmed by all the other expectations that go into being an educator. She jogs daily, loves coffee a bit too much, and adores her dog. She’s married and loves keeping up with the latest ideas in education. She is always willing to try something new in her classroom, especially if she thinks her students will be interested in it. When she visits TpT, she’s looking for an awesome new activity or inspiring new way to start a unit she already teaches. She wants something that looks amazing and not babyish, something that is “print-and-go” ready, and something that will make her students think she rocks. Too detailed? You have no idea. I’ve spent a lot of time thinking about Tara. I could tell you what brand of mascara she prefers and what novel she just finished reading (The Hate U Give, btw, and she thought it was A-maz-ing!). Why do I know so much about an imaginary person? Because when I create a new product, I’m not just randomly putting some activities together and hoping they’ll sell. I’m making a resource for Tara. And for the hopefully hundreds (or thousands!) of teachers like her. Because online marketing experts know that if you design resources for everyone…you design products that don’t work for anyone. So before you start, think carefully about who is going to be buying your lesson plans. Keep him/her in mind at all times. Having a good name and logo can really help with branding. Are you going to list products under your name? That’s awesome! It’s a choice many teacher-sellers swear by, because it lets educators buying your products know that you are a real person and can inspire confidence and loyalty. On the other hand, it also means that anyone searching around on the web can find out you have a TpT store. While this is becoming increasingly common, some store owners aren’t quite ready to let their school districts, colleagues, and students’ parents know about their side-gig. In the end, do what makes you feel comfortable. You can always change it later. Choosing a cute name for your store? That’s fantastic! Done right, a fun store name can become instantly recognizable to the teachers who buy your lesson plans. But put thought into it. Can you continue to use the name if you switched subjects or grades? Is something similar already being used? Is it too cutesy? You want to be happy with it for a long time. 5. You don’t have to be a tech-whiz, but be prepared to learn. The team of techies at Teachers Pay Teachers have really made the process of uploading your resources as easy as possible. The system is logical and easy to follow. Between that and their amazing customer and seller support systems, anyone from a first-year teacher to a 25-year veteran can start getting resources into their stores with ease. 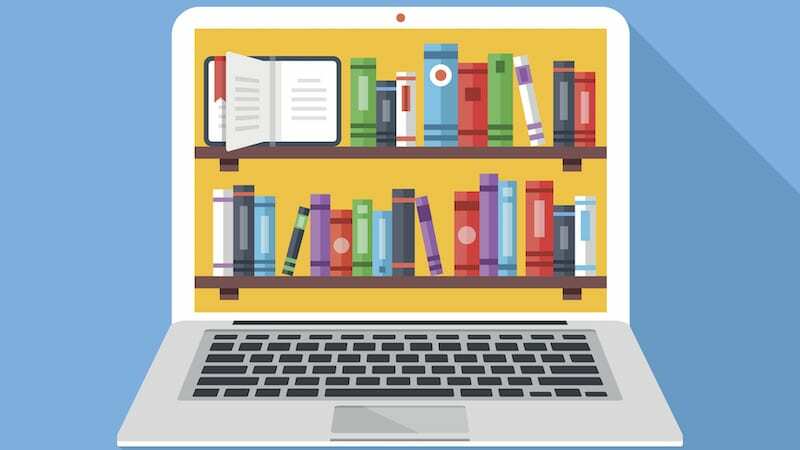 There will absolutely be things you’ll need to learn, however, like how to secure your PDF files so buyers can change your resources, how to find royalty free clip art and photos, or how to respond to angry teacher-buyers. 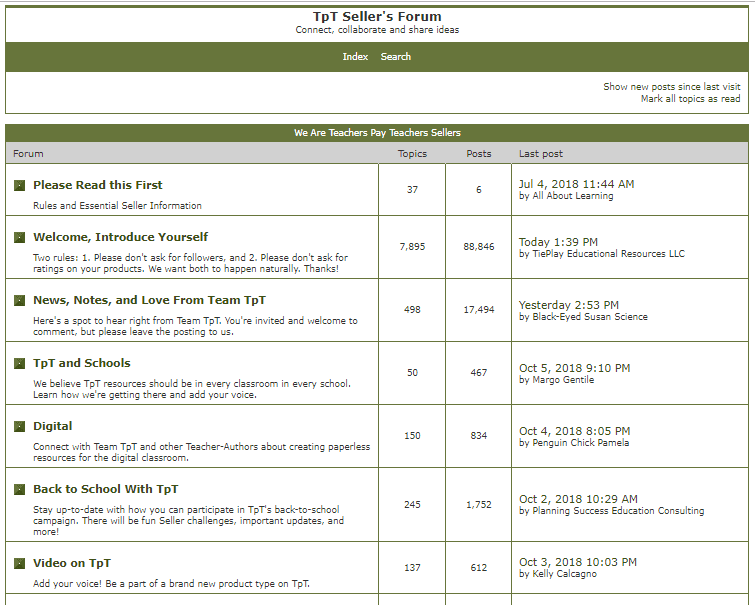 The TpT forums are amazingly helpful, with other teacher-sellers coming together to support one another, but be prepared for having to learn some new tricks along the way. 6. Prepare yourself for updating and improving your favorite lessons. While you may have a flash drive full of awesome ideas, teachers are now coming to Teachers Pay Teachers expecting polished, professional-looking resources. You may have an amazing lesson that you know students love but be prepared to put some additional time and energy into making your plans look like something people would pay money to use in their classrooms. To give you an idea of how much things have changed, here’s the before and after cover of a resource I uploaded to my store when I joined TpT in 2009. 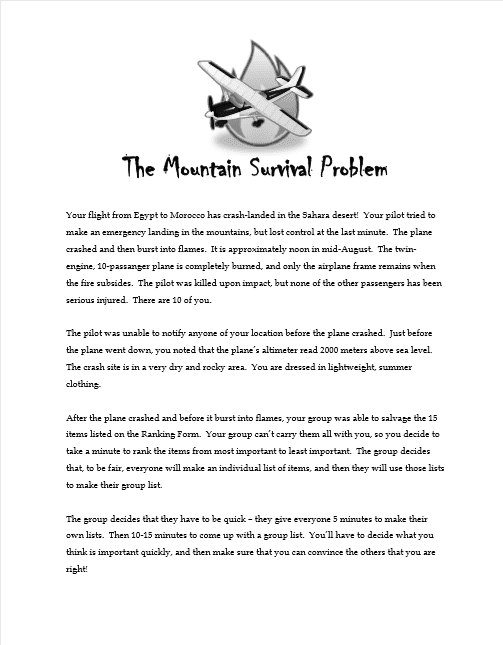 Just a fun, little activity that was great for launching some novel units. This past summer I went through my resources and updated the ones that no longer met the standards teacher-buyers look for when they come to TpT. This one definitely fit the bill. I did a total overhaul on the resource and it took me several days. But the difference is obvious. 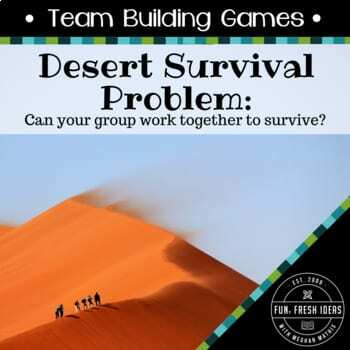 I didn’t just update the graphics, I looked at the entire activity, added more hands-on pieces, made sure to incorporate background building elements, and made it more user-friendly for teachers and students—everything I want a teacher-buyer to know they’ll get when they purchase one of my resources. Teachers expect quality graphics and fonts, answer keys, and detailed teacher’s guides. It takes time, but it can be worth it in the long run. Fortunately, it is a great time to be an online curriculum designer! Websites like Pexels and Pixabay offer clip art and stock photos teachers can use for free. Even Teachers Pay Teachers itself has numerous amazing clip art stores run by designers creating images just for educators. Websites like Canva not only allow you to create professional-looking covers with images, borders, and creative fonts for free, but they also have free graphic design lessons so you can improve your design skills! 7. Get involved with the TpT community. Maybe it is because teachers are naturally empathetic, nurturing people, but the TpT community is pretty darn great. You won’t find a more supportive, encouraging community of businesspeople than the sellers at Teachers Pay Teachers. 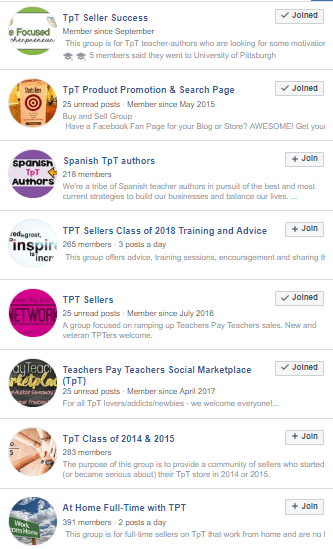 Once you’ve joined, start chatting with people in the TpT forums or join a Facebook group or two. Every new seller will find lots of people willing to point them in the right direction. By and large, Teachers Pay Teachers sellers want to help others succeed. It’s pretty inspiring. Don’t be afraid to reach out to a teacher-seller you respect to ask them a question or two or just to say hi. You’d be surprised by how eager they are to help you out! Hey, email me! If you have questions about starting a store, I’d be happy to help you out! The truly great thing about Teachers Pay Teachers is that there really is no wrong way to do it. Start a store, put one good resource in it … and then get busy at school and don’t touch it for a year? Fine! Create your store and then immediately begin stocking it with great plans that you stayed up until 3 AM creating? If that’s what you want to do, awesome! But don’t let what other people are doing scare you or intimidate you. Remember, if you’re thinking about starting a store, it’s probably because you know you have some great ideas that other teachers would benefit from. Give it a try. Do you have any Teachers Pay Teachers tips? Come and share in our WeAreTeachers HELPLINE group on Facebook. Plus, check out other ways teachers can make extra money.